While players must engage in a variety of activities during the early stages of each match (which last approximately fifteen minutes), all of their planning, fighting, and combat strategies must be put to the ultimate test if a player survives until the End Game portion of a match. This is when the deadly storm has devastated the vast majority of the island, and only a tiny area of land remains inhabitable. This area is known as the Final Circle. All of the remaining soldiers are forced into a small area and everyone is forced into a final series of battles—until only one player is left alive. Fortnite Battle Royale Hacks: Surviving the Final Circle is a comprehensive resource that’s chock full of expert strategies for surviving throughout the early stages of a match. However, a strong emphasis is placed on providing proven tips and strategies that can be implemented during the End Game portion of each match, when all remaining soldiers are forced into the final circle. This guide takes into account the latest changes Epic Games has made to Fortnite: Battle Royale (in June and July 2018), which expanded the strategies that could be used by players during the End Game. How to prepare for the End Game throughout each match. How to select the best weapons, ammo, and loot items to collect and carry into the End Game. How to reach the Final Circle with ample time to build a fortress and plan a strategy based on the terrain. How to choose the best location in the Final Circle to build their fortress. How to determine the best combat strategies to implement in the Final Circle, based on actions taken by the competition. How to select which enemies to attack and when in order to become victorious. How to avoid injury during those final intense battles. How to manage resources, so they’re available when needed. Targeted to readers age 8 and up, this unofficial guide provides a comprehensive overview of the Fortnite: Battle Royale game, regardless of which gaming platform the reader is using. The book includes hundreds of full-color screenshots from the game, along with easy-to-understand tips and strategies designed for players at all skill levels. Each of the unofficial, Fortnite: Battle Royale strategy guides written by Jason R. Rich focuses on one core aspect of the overall Fortnite: Battle Royale game play experience. 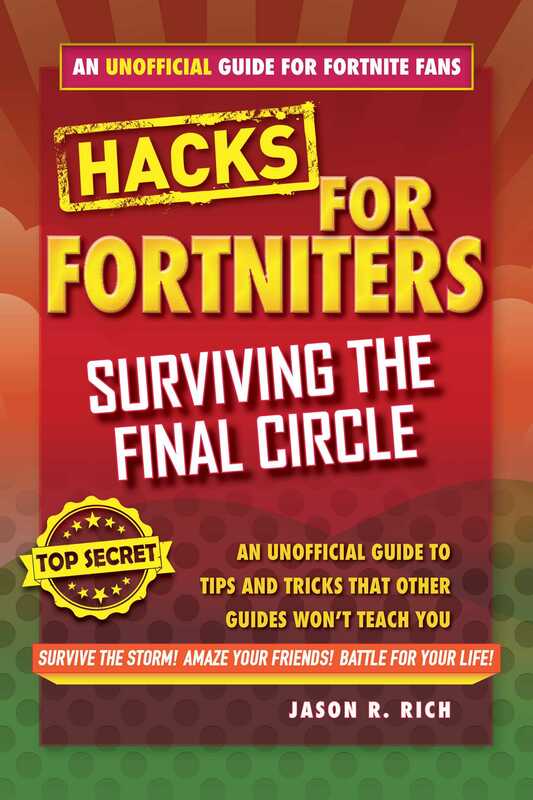 This particular guide’s focus is on how to survive during the final minutes of each match, which is referred to as the End Game or Final Circle.